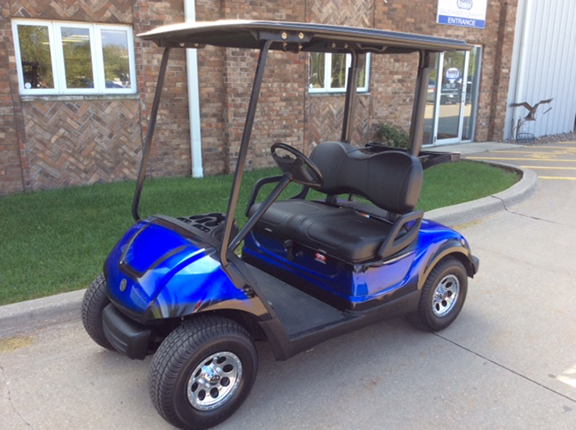 Take a look at this 2011 Yamaha Drive with a custom blue painted body. 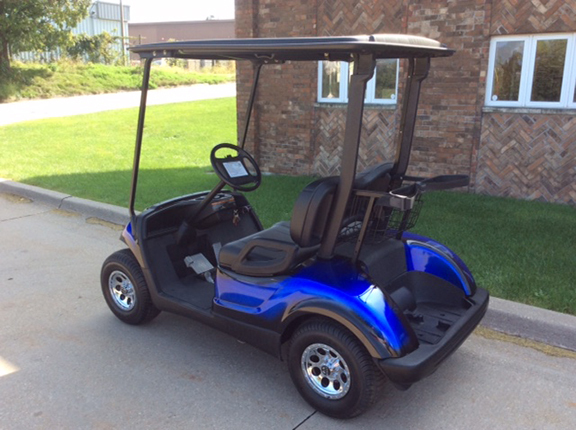 It has a molded black canopy and molded black seats. 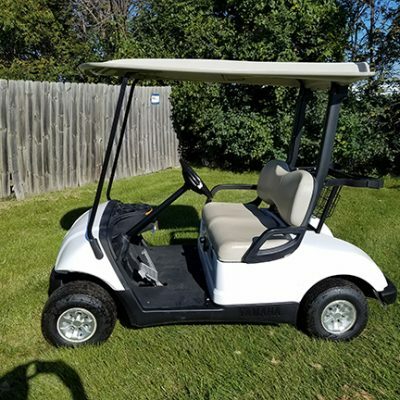 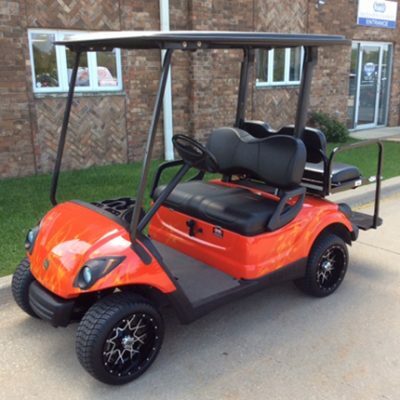 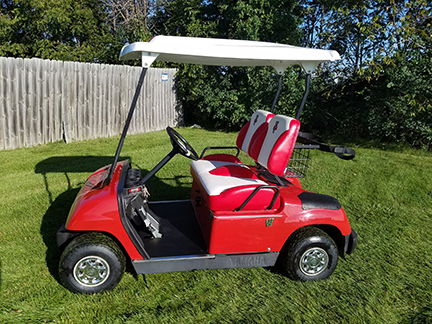 Take a closer look at Harris Golf Cars!